We offer wool from our sheep as raw fleeces or roving (for handspinners) and also as hand- or mill-spun yarn for knitters and weavers. See our Fiber For Sale page to see the fiber we are currently offering. We also have our wool for sale at our Online Store. 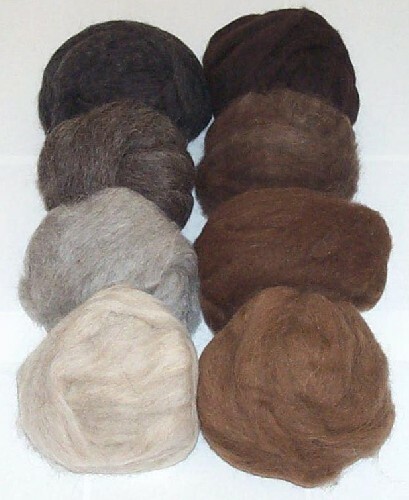 We offer natural and hand dyed colors of knitting yarns and have produced yarn from other sheep in our local area. 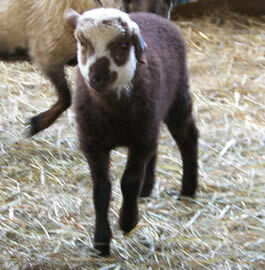 We now have Lewis County Romney and a 3 Farm Yarn of 85% wool and 15% alpaca fiber. I received my order today and I must say your wool surpassed my greatest expectations!!! It is beautiful and will be such a pleasure to spin. Thank you so very much and I also love the variety pack of different Churro wools, they are gorgeous!! !